Electric vehicles: a smart transportation choice. Electric Vehicles (EVs) Cost Less to Operate than Gas Powered Cars. Depending on your local gasoline and electric rates, EV operation can be 3 to 5 times cheaper than gasoline and diesel-powered cars. All-electric models do not use oil; thus they do not need oil changes! Never Go to the Gas Station Again! 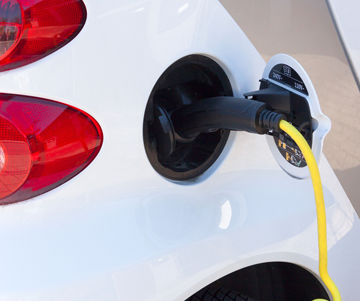 EVs do not require gasoline and can be charged at home with a standard 120V outlet or a 240V level 2 charger can be installed for faster charging. EVs have no tailpipe emissions. While the power plant producing your electricity may produce emissions, electricity from hydroelectric, solar, nuclear, or wind-powered plants is generally emission-free.